Is your basement humid and musty? Does it have water stains, leaks, or mold and mildew? If so, you may be experiencing basement or crawlspace waterproofing problems. Mold and mildew can be a real hassle for both a business and a homeowner. Mold and mildew can create health problems for all who breathe the air. Business owners also have to worry about it ruining food and other products. It is a smart thing to take care of this problem as soon as possible. 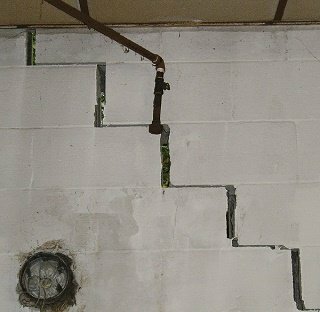 These are all signs of foundation failure, and although they may not seem important individually, together they could point to future foundation failure problems. If you notice any of these signs while walking around your home or business, you may be in need of foundation repair or waterproofing services. These are all great tools and services that Rapid Foundation Repair offers. In addition, we are proud to use products from one of the top producers of foundation repair tools, Earth Contact Products–so that we can completely repair your foundation failure or waterproofing problems. Your mold and mildew problems will be fixed and you should have a dry and stable basement or crawlspace. Call us here at Rapid Foundation Repair to learn more about our foundation repair and waterproofing options, our service area, or for a FREE estimate. We want to make sure you feel safe, secure, and healthy in your South Dakota home or business. 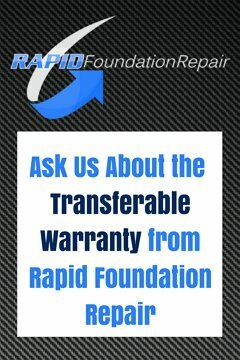 Contact Rapid Foundation Repair today!